Michelle Mills - Ind. Stampin' Up! Demonstrator Brisbane, Australia: 'Tis the Season! 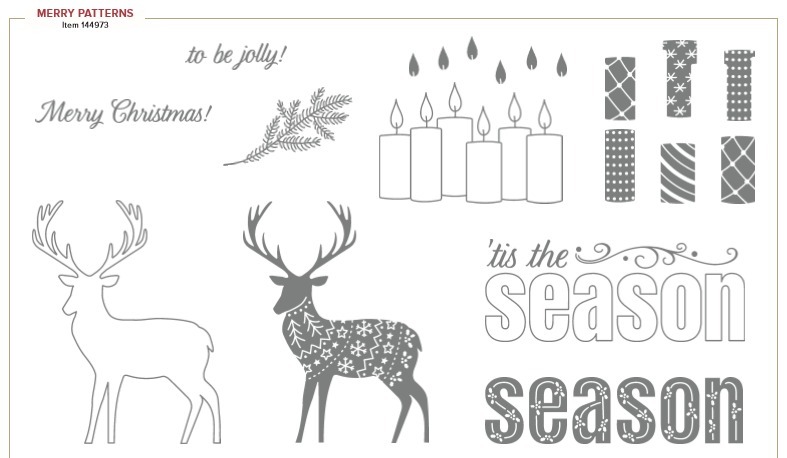 Stampin" Up!® have an amazing offer on at the moment....when you Host a party or workshop with combined sales of over $450, the Host will receive this Limited Edition Stamp Set "Merry Patterns". This offer is for September & October only! This is a two step Photopolymer stamp set and I particularly love the Candles and the Sentiments. I was fortunate enough to be able to earn one of these for free myself as I placed a demo order over the $450 which also earned me the stamp set. PLUS I also earned 10% of the total of the order back in Stampin' Rewards, PLUS I also received 25% discount off that order!!! WOWSERS RIGHT? It pays to be a demo just so you can buy your own things!! I have used a few of my fave items on this card. Firstly, the stunning Year of Cheer Designer Paper is a MUST HAVE. I also broke out the Foil Snowflakes - you get 24 foil snowflakes in the pack, that's 12 each of Gold and Silver. The Stitched Shapes Framelits Dies are so versatile and can be used on any type of card which I love. They pair nicely with this stamp set and the Ovals are just the right size. Then I have two step stamped the sentiment - first the outline stamp in a permanent black ink and then the second time with the words that fill in the outline, in Versamark and gold embossed. This really makes the words pop! Finished off with a bit of gold ribbon as it needed something and for a change, I didn't want to add bling. The gold looks so classy on cards. Thank you for stopping by to check out my project. A full list of items used to make this card features below.